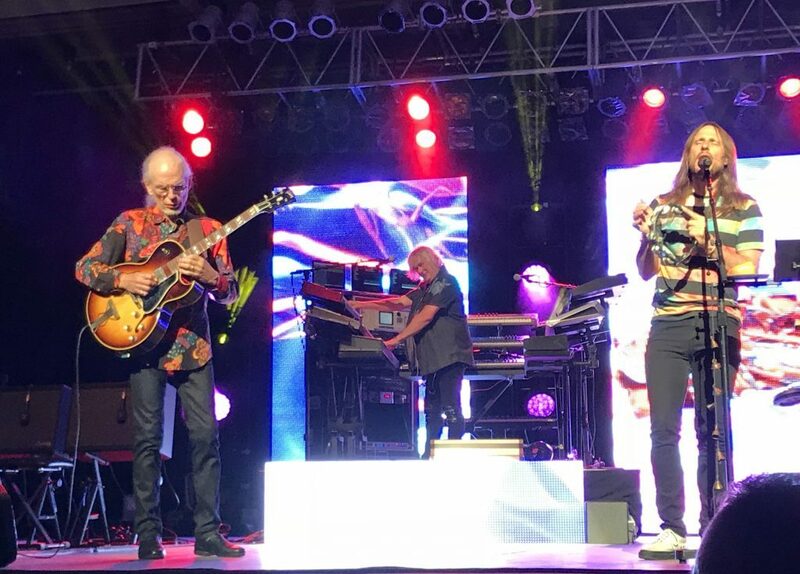 The version of prog-rock’s Yes featuring Steve Howe, Alan White and Geoff Downes stopped at Interlochen Thursday night. Check out the Local Spins review — a preview to Friday’s show at 20 Monroe Live. A half-century on, Yes carries on. There have been defections, deaths, even lawsuits, but the current configuration hearkens back to its heyday while striving to remain contemporary. 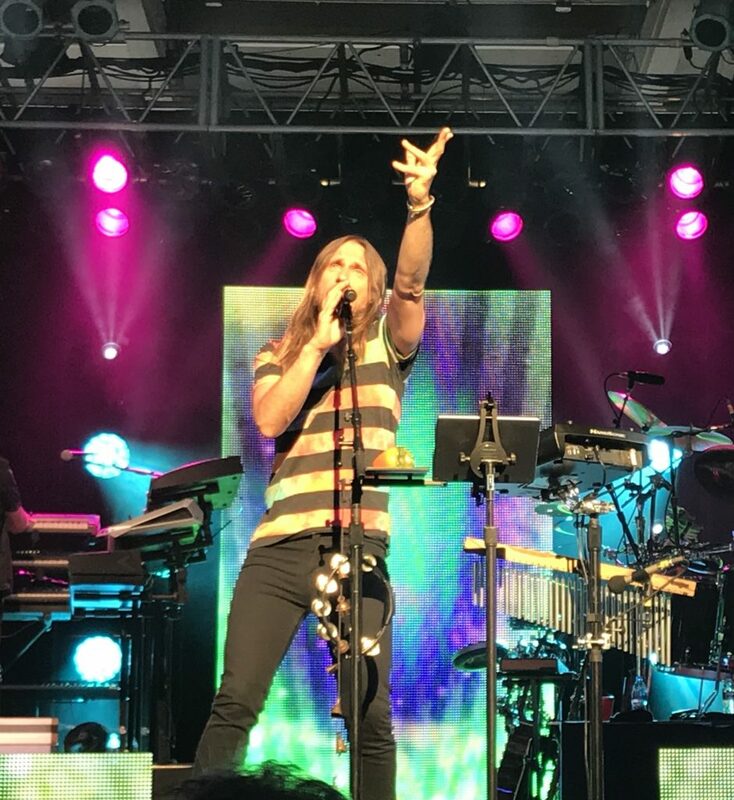 Thursday’s concert at Interlochen Center for the Arts – a preview to the band’s performance at 20 Monroe Live in Grand Rapids tonight (June 29) – showed Yes has still got power and muscle, though it’s slowed down a bit. Opening to the familiar walk on music of Stravinsky’s “Firebird Suite,” (familiar to Yes fans anyway), the band then launched into “Close to the Edge.” Singer Jon Davison has the range of Jon Anderson, though the timbre is significantly different. Following the song, guitarist and de facto bandleader Steve Howe announced that longtime drummer Alan White would be joining the group later on before introducing Jay Schellen on drums. 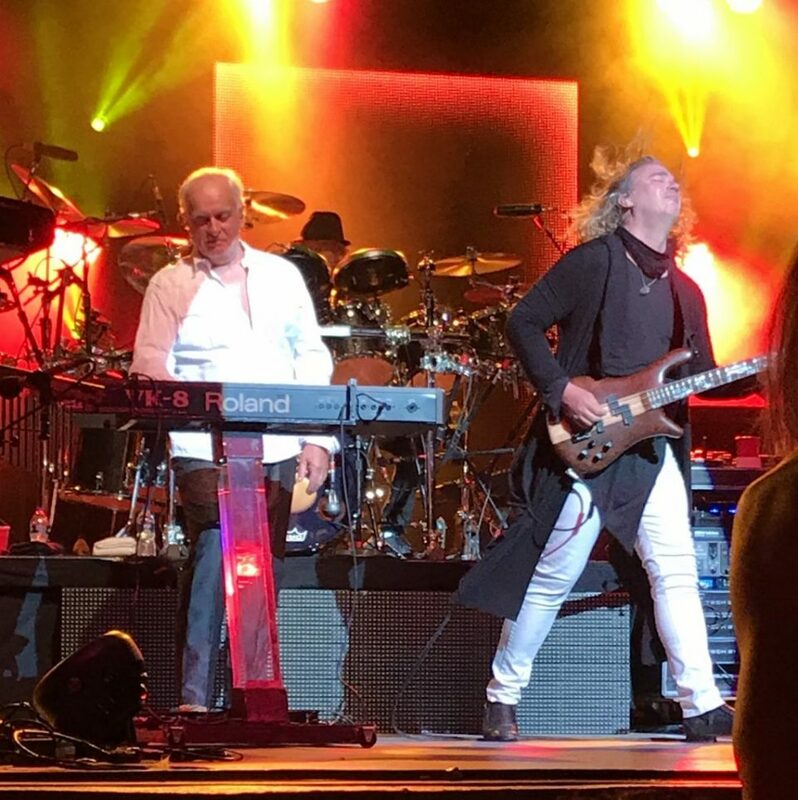 “Nine Voices” from 1999’s The Ladder followed, before Davison dedicated “Parallels” to the memory of bassist Chris Squire, the band’s co-founder. 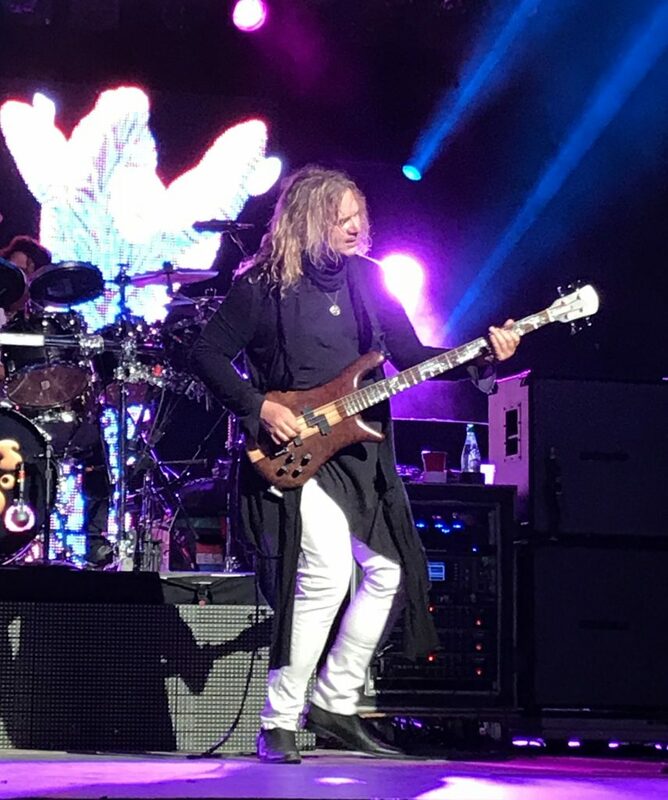 His hand-picked replacement, Billy Sherwood, was more than up to the task here and throughout the night, switching back and forth among three different basses. 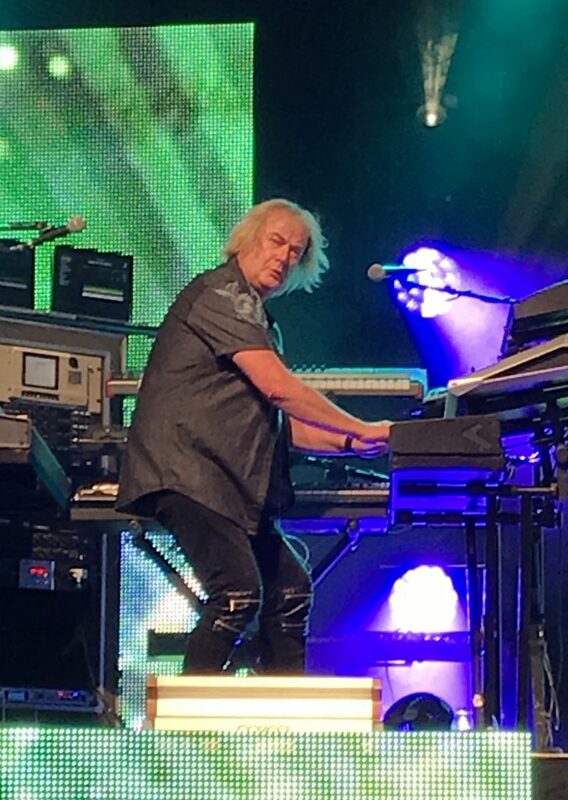 Admittedly, a murky mix made it difficult to hear Geoff Downes’s keyboards, a problem all night. Howe did the bulk of the announcing, a switch from years gone by when vocalist Jon Anderson was front and center, with Squire taking over after Anderson left/was booted (your choice). He seems comfortable in the role, but he’s had 40-plus years to figure it out. His solo feature included the obligatory “Mood for a Day,” still a melodic masterpiece, before seguing into “Leaves of Green” from “The Ancient.” “Sweet Dreams” and “Heart of the Sunrise” finished the first set. After intermission, the band returned for “Perpetual Change,” again going back to the early ’70s. 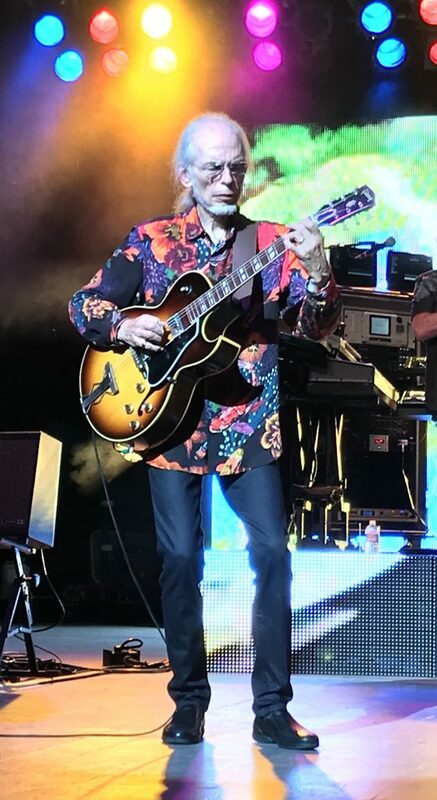 Here the vocals suffered from poor intonation, while the instrumental sections included dazzling guitar runs – that’s the 71-year-old Steve Howe, ladies and gentlemen – before devolving into a noisome mess. And still no Alan White. Sherwood switched to a fretless bass for “Does it Really Happen” from Drama, with just the appropriate amount of crunch. Again, the vocals suffered from both intonation and mix problems. While it can be tempting to point to the fact this incarnation of Yes is not the so-called classic version, it wasn’t until “Awaken” that flamboyant keyboardist Rick Wakeman was really and truly missed. Downes lacks the precision as well as the cape, and his choices of sounds on this piece was questionable. 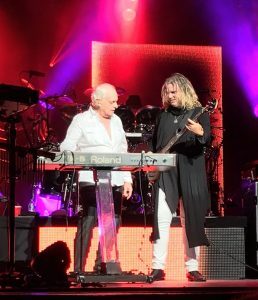 But finally here was Alan White, with Schellen moving over to percussion. An interlude featuring Davison on keyboard and White on tuned percussion was a highlight. 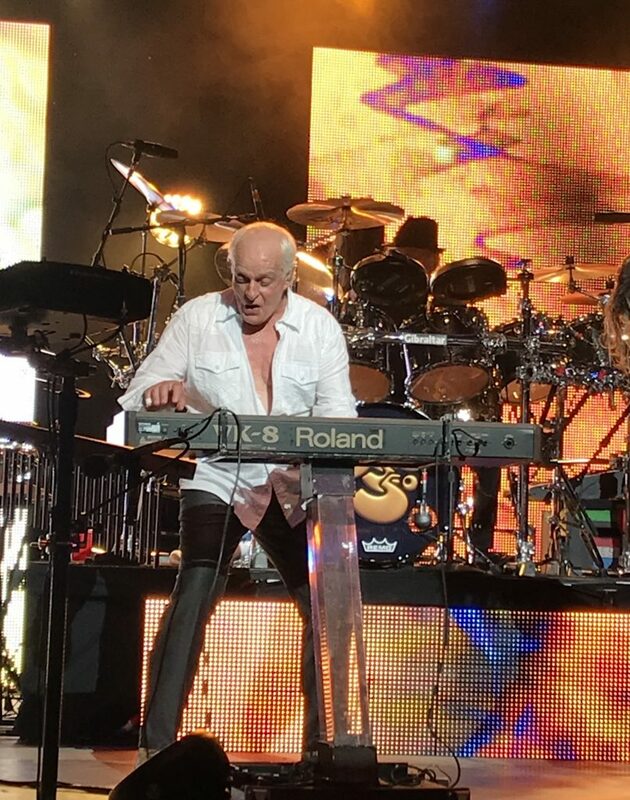 For the encores, original keyboardist Tony Kaye joined the fray, on “Yours Is No Disgrace” and the obligatory “Roundabout” and “Starship Trooper.” Downes graciously ceded the spotlight to Kaye, who clearly enjoyed being onstage. Yes was always perceived as a band that combined otherworldly lyrics and vocals with superb instrumental prowess. This version remains as muscular as ever, and Howe has emerged as an honest-to-God guitar hero, as opposed to simply the brilliant guitarist he’s always been. Still, it’s hard to see it as the magic group its longtime fans may be hankering for. And for those who came aboard with “Owner of a Lonely Heart” and the rest of “90125” and “Big Generator,” sorry, wrong aisle. Tickets for Friday’s 20 Monroe Live show — $49.50-$150 — are available at 20monroelive.com.